» Investment Ideas » Investment Idea 9 : Star Paper Mills Ltd.
Investment Idea 9 : Star Paper Mills Ltd.
Hope you all are doing Fine. It gives me immense pleasure to share that Pennar Industries Ltd. has become our 5th stock to yield 30% plus returns within a time span of 2-3 months. My Next Investment Idea is from Paper Industry, which has been an exceptional performer of the last Fiscal. Due to time constraints, I will be very precise. Do Study yourself before investing. 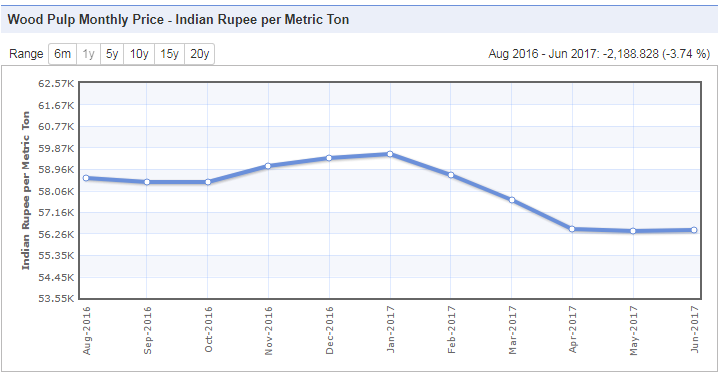 I have been keeping an close eye on the wood pulp prices since last 2-3 months, and fortunately the prices of pulp are currently at lowest point since last 1 year. Star Paper Mills is yet to announce its June Quarter results, an earnings surprise is expected on this counter. Further, the stock is currently trading at a P.E multiple of 4.8, which is not even half of an Industry P.E. indicating a lot of scope for further upside. The Operating Profit Margins of the company for the last financial year has been exceptional (above 20 percent), reason being the company making a lot of efforts in cost cutting, also lower wood pulp prices in the current quarter will add up to their efforts. The total debts in company's books stands just Rs. 4 Cr. whereas the company has an cash & cash equivalents of around 5.6 Cr. 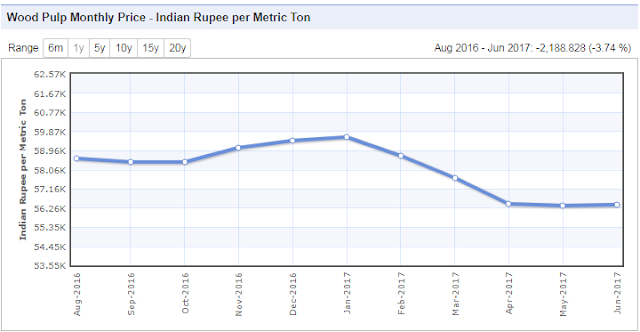 Other Paper companies namely Ruchira papers, West Coast Paper, International Paper have posted excellent results for this quarter, the reason being expansion in EBIDTA margins due to lower raw material costs. Star Papers is expected to follow the trend. The stock is in long term uptrend, current trading near its 200 Day SMA i.e. Rs 188. The Upcoming results are expected to turnaround the charts. Star Paper Mills Ltd. is a slow moving stock, therefore investors with a longer term horizon should surely go for it. At CMP of Rs 185 it is the cheapest priced paper stock in the industry. One can place Rs 167 as Stop Loss, which is its 3 month low. 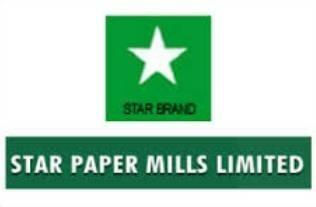 Disclosure : I do not have any holding directly/indirectly in Star Paper Mills Limited. Could you give some target and the timeline. Thanks in advance. Please refer our portfolio tab for these details.